Yet while Executive Order 9981 is perhaps one of Truman’s most progressive pieces of legislation, his decision to sign the Women’s Armed Services Integration Act in the same year suggests Truman recognized a need for even more equalizing change in the United States military. Signed on June 12, 1948, the Women’s Armed Services Integration Act legally permitted women to serve in the U.S. Armed Forces in a number of official capacities. 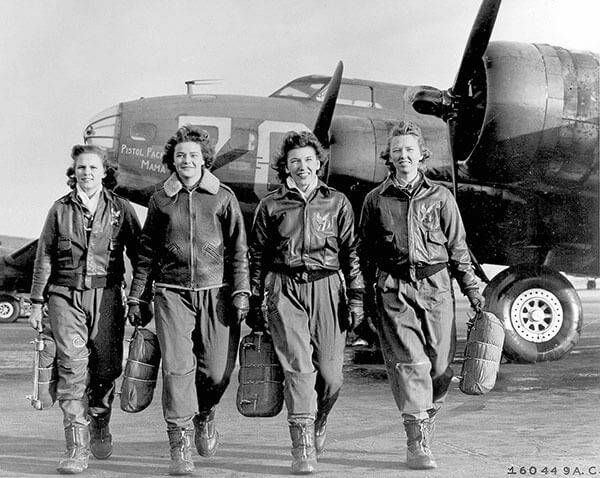 Most importantly, the act allowed women to serve in all four branches of the military. Previously, women serving in the military could enlist as volunteers in clerical positions or work as nurses, though Congress did briefly give the Women’s Army Corps full army status during WWII. Although the act promised more opportunities for women, it also limited the number of women who could serve in each branch to two percent of the total number of enlistees per branch. So, while women certainly integrated the armed forces, their overall presence remained limited. The Women’s Armed Services Integration Act, coupled with Truman’s decision to desegregate the military, also permitted African-American women to officially serve in the military. Annie E. Graham, for example, became the first African American woman to join the Marine Corps in 1949. Besides Truman’s own involvement and support of women in the armed forces, his Secretary of Defense George C. Marshall went on to establish the Defense Advisory Committee on Women in the Services, a committee composed of civilian women and men appointed by the Secretary of Defense. Since its inception in 1951, the Defense Advisory Committee on Women in the Services has served the purpose of seeking fair and equal treatment for women in the Armed Forces. The committee goals are as follows: to provide advice and recommendations on matters and policies relating to the recruitment, retention, employment, integration, well-being and treatment of servicewomen in the Armed Forces. It is interesting that discussions of Truman’s progressive attitudes and legislation are often limited to issues of desegregation or healthcare reform, especially considering his instrumental role in the Women’s Armed Services Integration Act, which paved the way for thousands of women’s military careers. While July 26, 1948 stands out as a significant date in American history, in civil rights, and in Truman’s presidency, June 12, 1948, just one month prior, deserves recognition as the beginning of a fundamental overhaul to the United States Armed Forces. 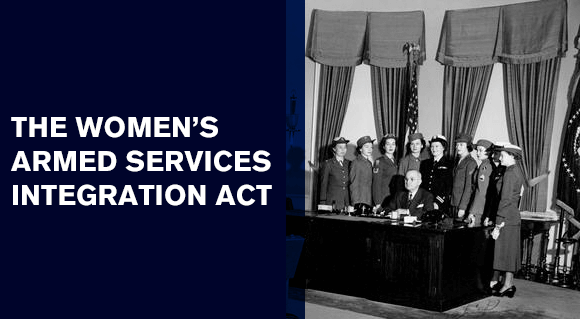 Individually the Women’s Armed Services Integration Act and Executive Order 9981 appear as two separate pieces of legislation with different goals, but taken together, these two decisions which came in the summer of 1948 during one of Truman’s most significant years in office, point to a much broader goal of equality both in the military and for the American people in general.